Running your day to day financial affairs, whether personal, enterprise or project requires efficient cash management. All transactions must be promptly processed and accurately recorded so that you always stay on top of your business. ACLEDA Bank Lao's Current Account is designed to meet your needs with safety, fast service, and confidence. 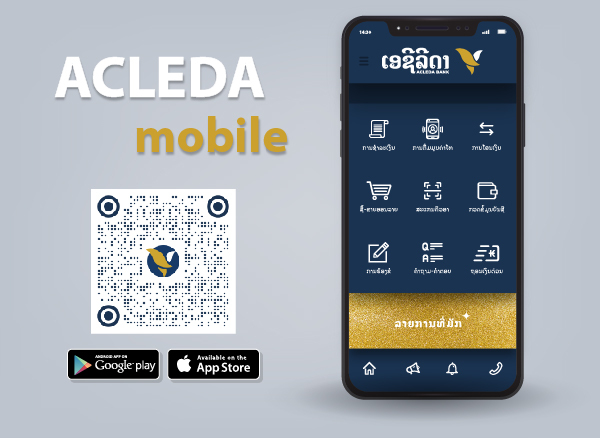 With an ACLEDA Bank Lao's Current Account, you can make all your payments by cheque and will receive fast personal service with the security of a bank backed by international investors and employ the latest world class information technology. Deposits and withdrawals in cash or by cheque can be made at any time during business hours.